The website of Chabad House of North & South Brunswick. 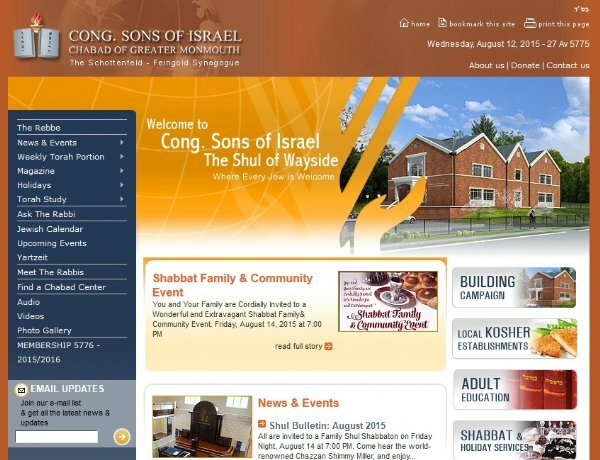 The website of the Wayside Shul. The website of Chabad of the Jersey Shore. The website of Chabad of Holmdel & Colts-Neck. The website of Chabad House of Monroe Township. All you need to know about Moshiach. An insightful website about the Mikvah. An insightful website about kindling Shabbos Candles. "Ask Moses" by chatting live with a Rabbi or Rebbetzin.